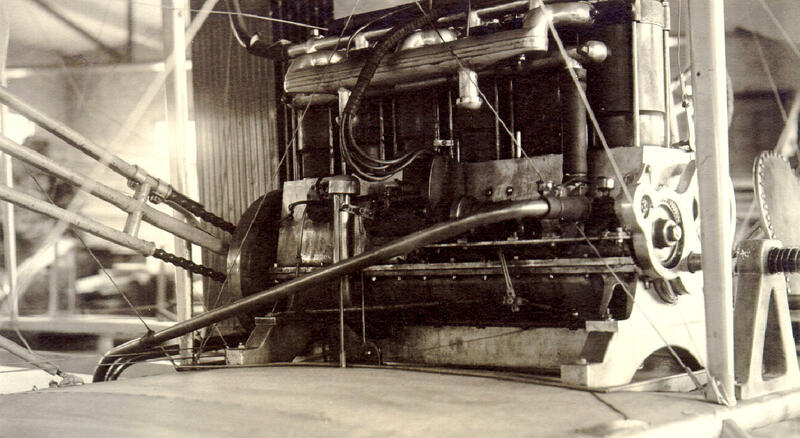 The vertical 6-cylinder engine produced from 1911 to 1916. They also built two unique "one-off" engines. 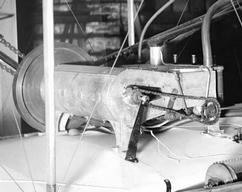 In 1910, the Wrights produced an experimental V-8 engine for one of their 1910 Model R racing airplanes. It was actually a variant of their vertical 4-cylinder engine. And in 1901, before they made any of their aircraft engines, they first built a single-cylinder natural gas engine to power their shop tools. 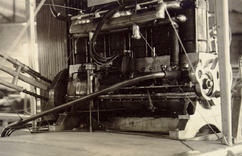 The Wrights designed all of their motors, but machinist Charles Taylor built them, beginning with the 1901 shop engine. He supervised the engine manufacturing after the company started in 1909 and continued until he left in 1911 to assist Cal Rodgers as he flew a Wright Model EX, dubbed the Vin Fiz, across America. Although the Wright motors had many novel features, the Wright brothers regarded the motor as an accessory, and never applied for a patent on any motor or improvement. Hobbs described this as "the essentially perfect engineering achievement by the classic definition...And the overall record of their power plants shows them to have been remarkably reliable in view of the state of internal combustion engine at that time." 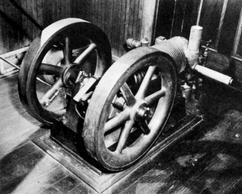 Hobbs, Leonard S. The Wright Brothers' Engines and Their design. Washington, D.C.: Smithsonian Institution Press, 1971, p 61, 63, 68. McFarland, Marvin W. (ed) The papers of Wilbur and Orville Wright. McGraw-Hill Book Co., New York, 1953, pp 1210-1217. 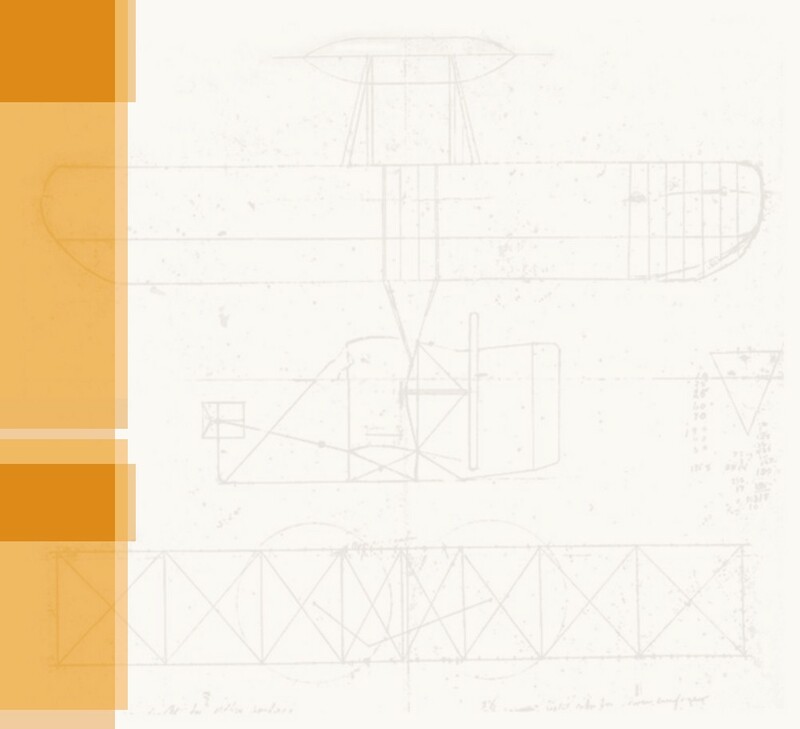 Taylor, Charles E. "My Story of the Wright Brothers, as told to Robert S. Ball." Collier's Weekly, Dec. 25, 1948, 27, 68, 70. 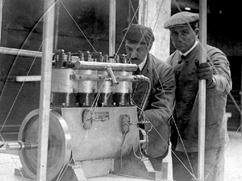 The 1903 horizontal 4-cylinder engine installed in the Wright Flyer I. 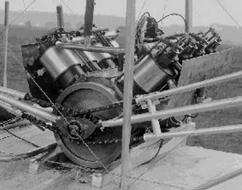 In 1904, the Wrights built a horizontal 4-cylinder "bench engine" to run propeller experiments. This also served as a test bed for new ideas to improve engine performance. 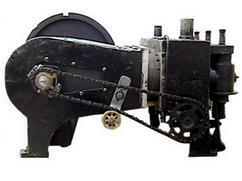 A Wright vertical 6-cylinder engine -- Wright 6-60 – installed in the Wright Model C Flyer. 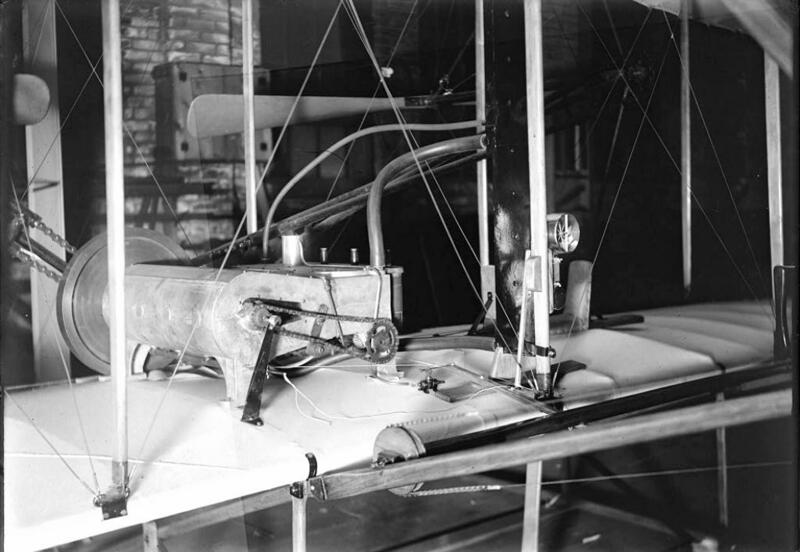 In 1901, just as they were beginning their aviation career, the Wrights built a shop engine that ran on natural gas. This engine powered the metal lathe, drill press, and other machine tools the Wrights needed to build their first aircraft engines. 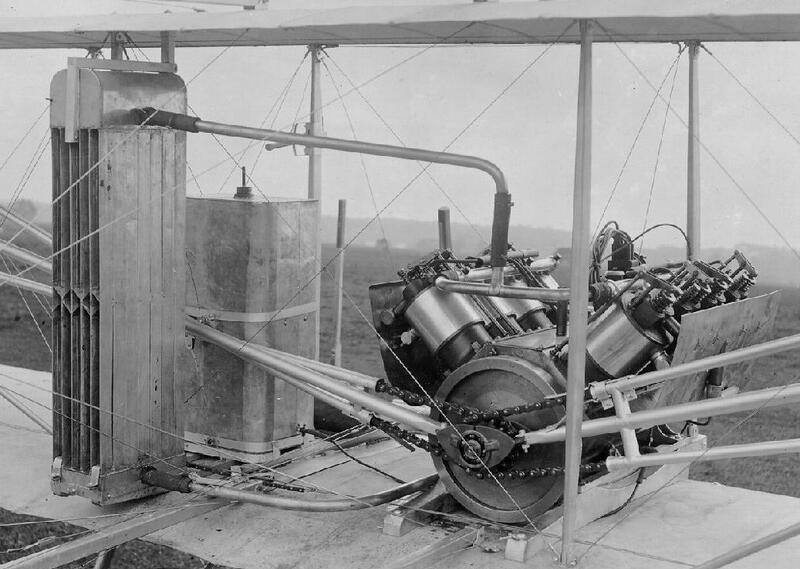 A slightly larger and more powerful horizontal 4-cylinder engine was used in the Wright Flyers II and III in 1904 and 1905. French workmen install a Wright vertical 4-cylinder engine – a Wright 4-40 -- in a Wright Model A Flyer. The Wright 8-cylinder V-8 racing engine installed in the Wright Model R. Only one of these engines was ever built.